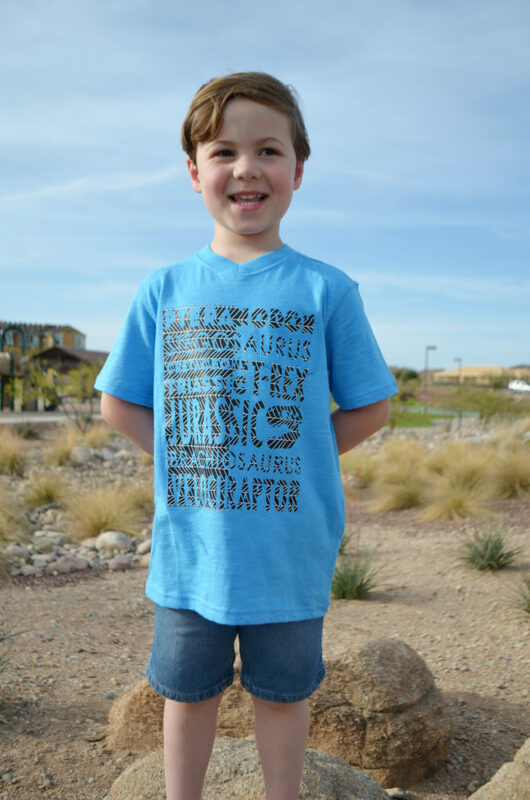 Do you have a dino loving kiddo too? Have I got a fun big kid custom t-shirt design for you. 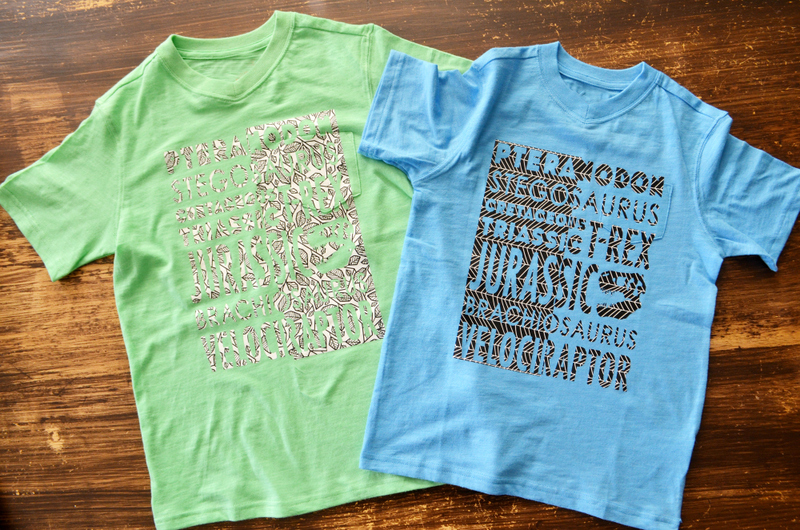 As part of a partnership with Cricut they sent me the NEW Cricut Patterned Iron-On™ to create these fun shirts! I love making custom clothes for my boys. 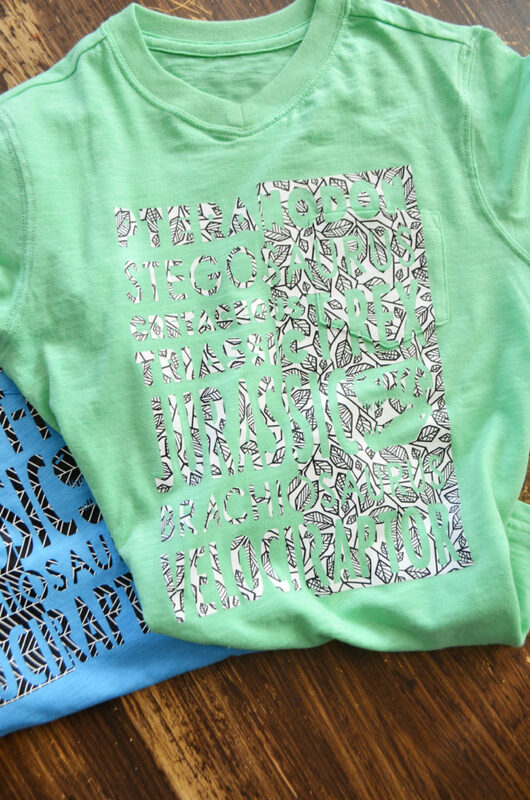 It’s often hard to find on-trend designs, but iron-on opens up limitless creative possibilities. 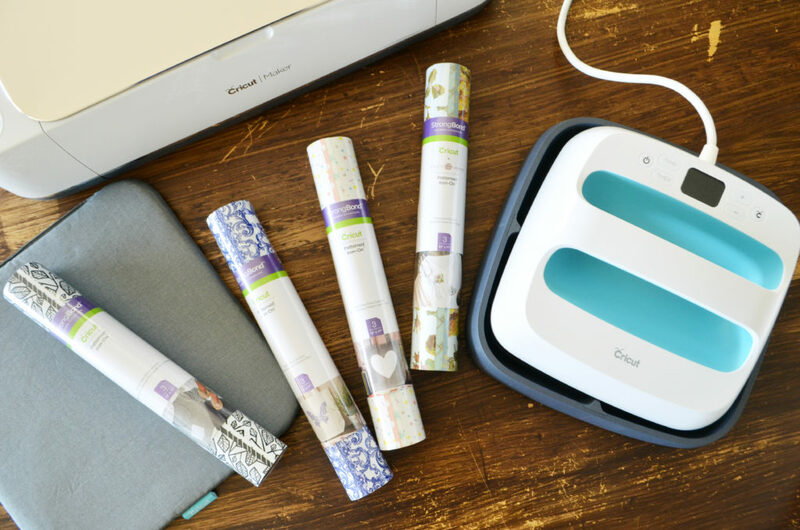 With one of the newest additions to the Cricut Iron-On offerings, you have 9 sampler packs to select from currently. 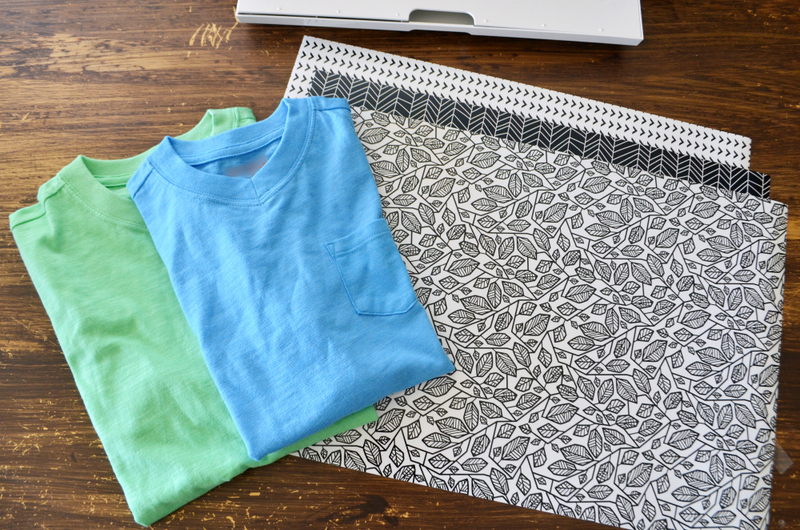 Each pack comes with 3 unique 12″ x 17″ sheets to personalize your own t-shirts, baby onesies, pillow, bags, and more. Use the patterns separately or combine and coordinate for a variety of custom projects! 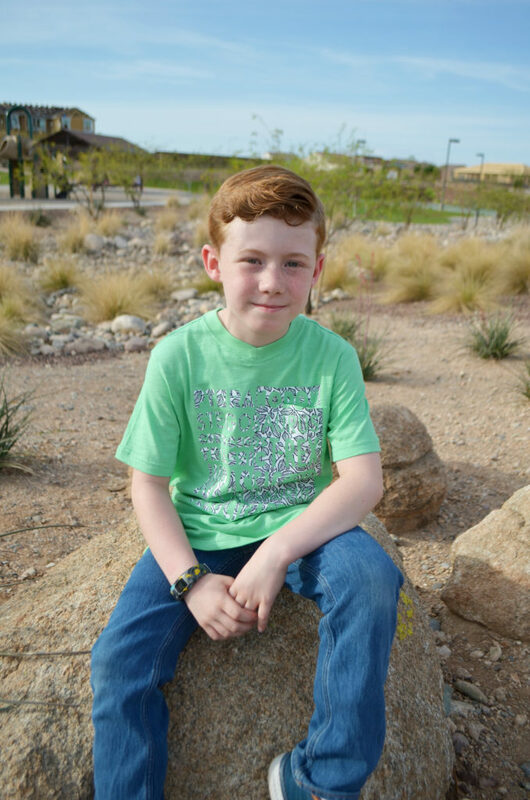 I decided to test out a couple designs from the Nature Walk Basics Patterned Iron-On and make coordinating tees for my boys. A dinosaur theme seemed fitting to go with all the adventures we’ll be having this summer; from the special Dino’s in the Dessert exhibit at the zoo to the dinosaurs at the Museum of Natural History. 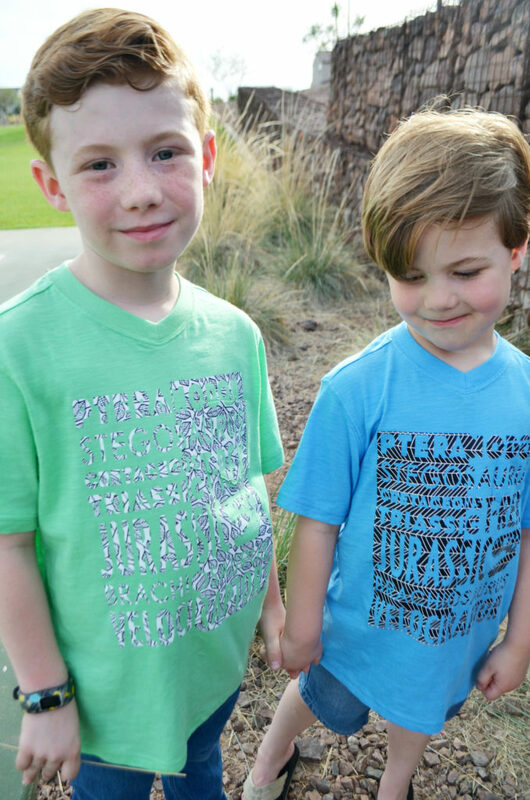 These boys are outfitted for a summer of fun! 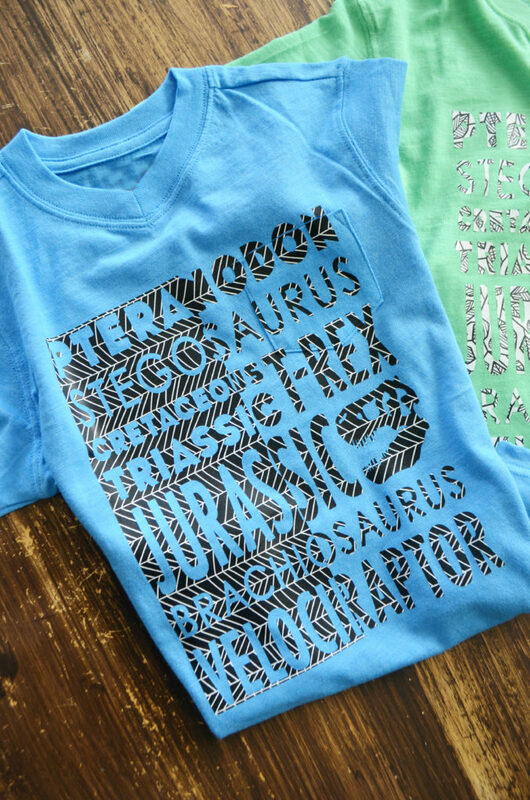 Open up the attached dinosaur word cloud file in Design Space. Size to your shirt size, I tend to go with something that is at least 2″ smaller on each side from the sleeves. Weed out your design using a weeding tool. Make sure you know which side you want negative space and which will have positive space. I made this mistake on my first shirt. Now the boys look like they have coordinating best friend, or puzzle t-shirts. Have them stand the right way and it’s the perfect happy accident. Preheat your material for 5-10 seconds before placing the design. My trick for perfectly centered shirts is simple. 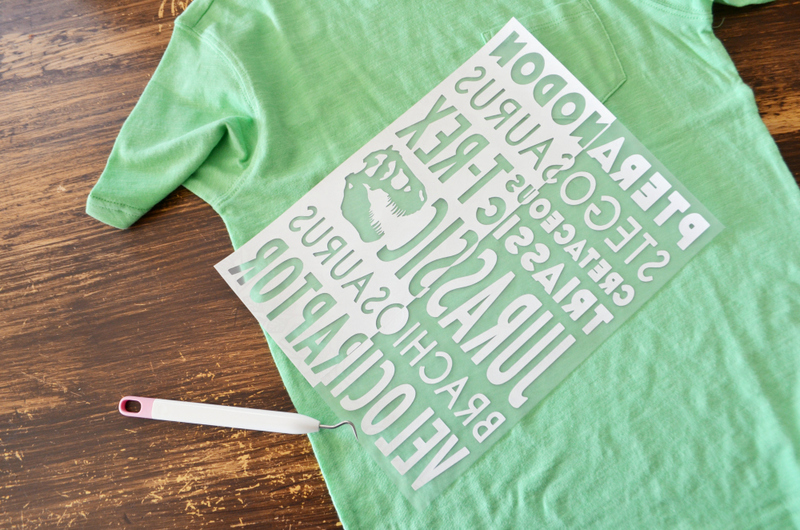 Find the middle point of your iron-on, and mark it on the transfer plastic. 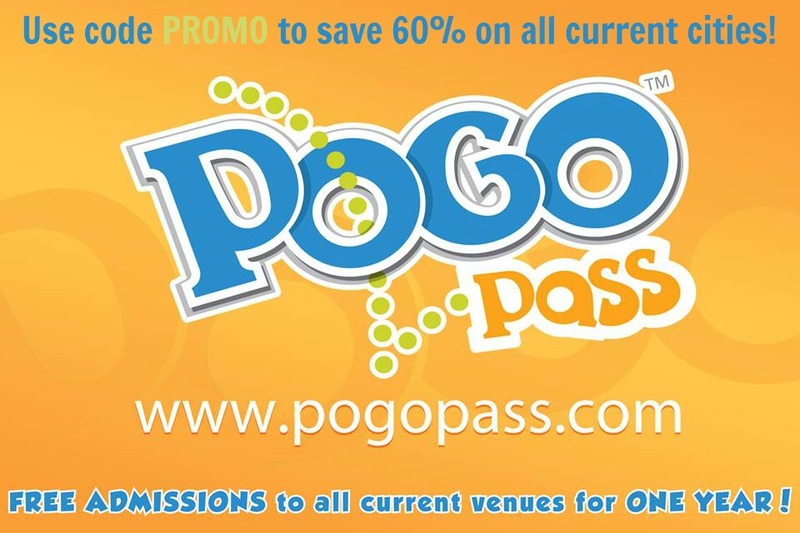 For this design it’s quite easy as the middle is marked. Fold your shirt in half and line up your iron-on. Carefully fold the rest of the shirt out and straighten. Alternatively you can fold your shirt in half, then use your EasyPress to make a crease on the center. While your EasyPress preheats place the EasyPress Mat under your shirt. 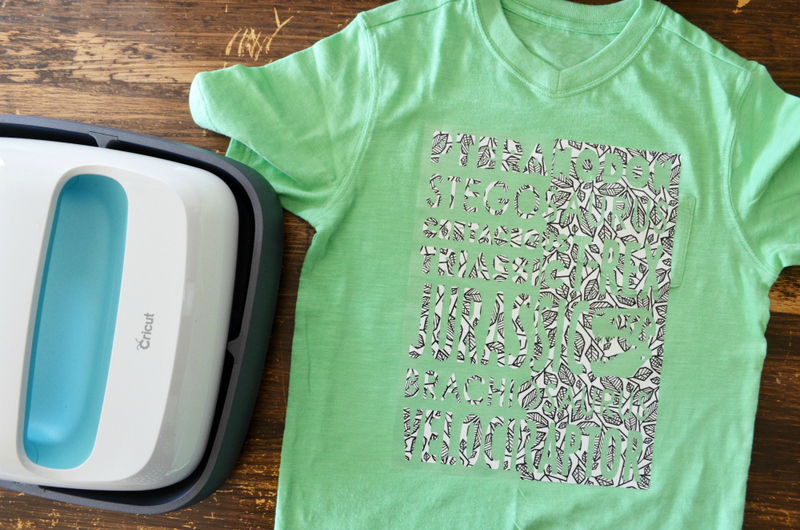 The NEW addition to the Cricut lineup is designed for flawless iron-on projects. The layered construction creates evenly distributed heat and reduces moisture to reflect the heat back into your iron-on. The silicone foam insulates and protects your surface from heat damage. Press firmly on your iron-on for the recommended heat and time settings. Use this handy table to determine the settings for your fabric type. Lift the EasyPress and repeat until you’ve pressed the entire design. Flip the shirt over and press again for an additional 15 seconds. 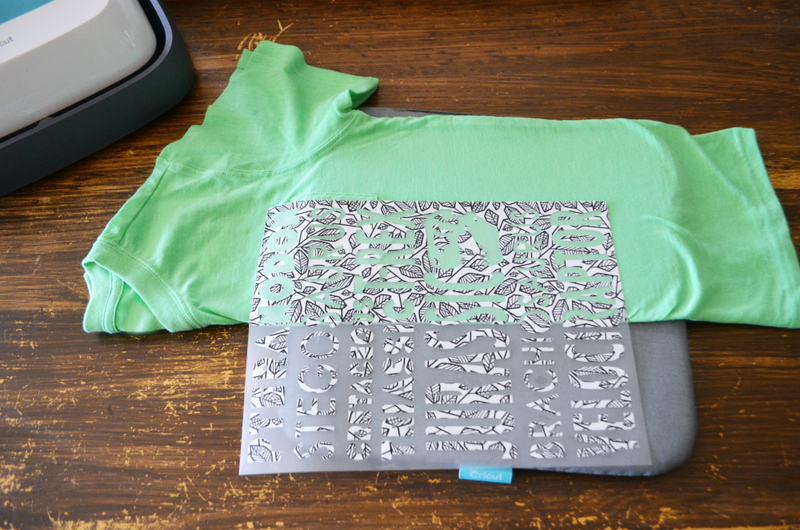 The Cricut Patterned Iron-On is a cold peel. Allow it to just cool to the touch before removing the liner. My shirts had a pocket so I had to do some snipping and spot pressing to make the pockets functional. I tried 2 methods with each shirt, but preferred snipping after I pressed. These thread snips worked perfect for this small job. 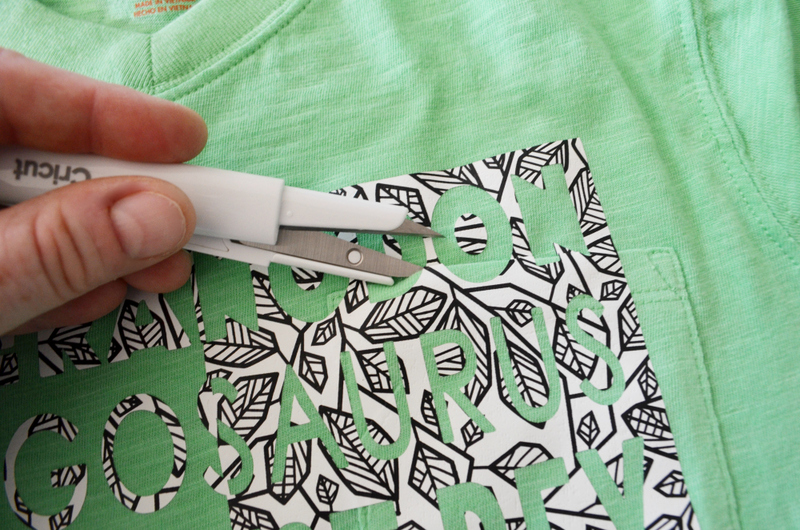 Simply slide the snips into the pocket and slice the iron-on to open up the pocket. If you have a more solid design on a pocket you’ll need to use the other method of cutting a line with a straight razor before pressing. I LOVE making shirts and custom clothes with my Cricut Maker. 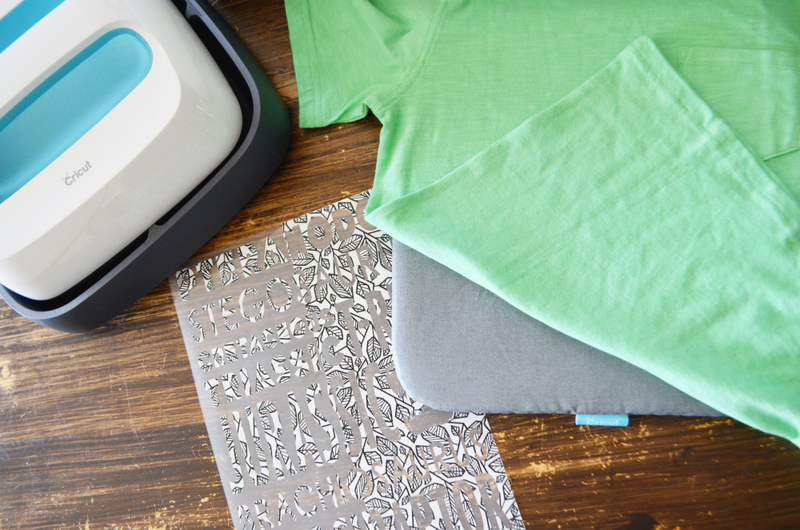 The NEW Cricut Patterned Iron-On is beyond my favorite. It adheres nicely to fabric, and almost melts into the fabric with no visible edges giving it a durable store bought look. These shirts were a hit! Want to create another positive/negative style design? Follow the images in this doc to setup your design complete with a weeding box. 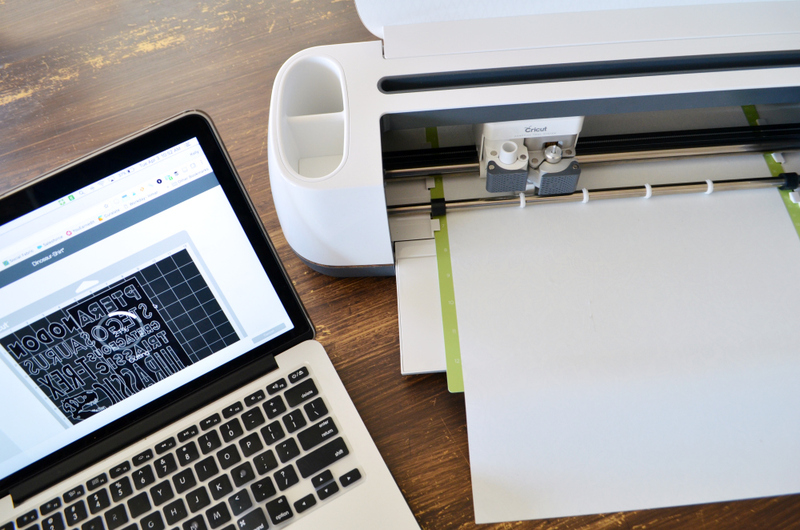 It only takes about 5 steps to go from the standard Cricut image to this upgraded design. The patterned iron-on just really adds to the style of the shirt. It takes a boring plain tee and gives it a fun customize look. I can’t wait to test it out on some more apparel and totes for summer. Custom library bag? Yes please! Swim tote? Coming right up! The variety of colors and designs available are only limited by your imagination. Do you love making custom shirts too? 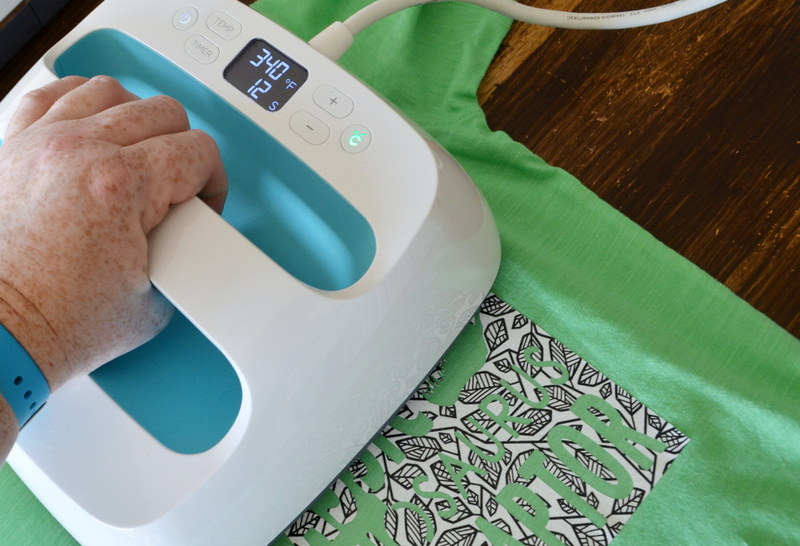 How would you use the Cricut Patterned Iron-On? Nice Idea! making and or putting design on a plain shirt sounds like a lot of fun.